Most home buyers have a list of features they’d love in their future home—such as a gorgeous kitchen, tiled bathrooms, hardwood flooring and maybe a pool. However, some features may not make the list alongside that dreamy remodeled kitchen, but end up swaying the decision of whether or not to buy a house. ROOM TO STORE– We’ve all heard the saying “too much of a good thing,” but there is no such thing as too much storage. Storage is important to every buyer. Whether it is a baseball card collection, lots of craft supplies, or a freakishly large collection of clowns—it all needs a home too! Storage buildings, built-ins, attic decking, permanent garage shelving units and other types of “extra” storage are great selling points.Built-in furniture such as bookcases or china cabinets can add a higher-end look for a relatively small investment (or adding some modern trim to older built-ins to modernize the look). In kitchens and bathrooms, custom storage solutions and built-in organization systems can maximize every inch of the space. Organizational elements can make the normally boring area (like inside of a cabinet) into an exciting element of the home! (I mean…have you seen the fancy pot and pan pull out organizers?!) The bottom line is we all love our treasures and extra storage is a timeless and will never go out of style—and may be the little push to send a buyer from liking a house to loving it! AIR! – So…Texas is hot, which means air conditioning is important. Central A/C is not cheap to add after the fact, but is a HUGE selling point. While this is not a “little thing,” it is often overlooked until a buyer sees the property and realizes there is no central A/C system. Many buyers will not consider homes without central A/C. It’s not only a deal maker, it’s often a deal breaker. ORGANIZATION FOR REAL LIFE – A mud room is not a new concept, but is quickly gaining mainstream popularity because it is so functional for daily life. A mudroom acts as a sort of “catch-all” buffer entryway–a place to drop purses, backpacks, boots, umbrellas, sports gear and more. The mudroom might be a stand-alone room, share a space with the laundry room or could be a small area in a hallway—I have seen it in many incarnations. It is desirable because it is practical and a usable feature for everyday living. PRIVACY PLEASE! – Have you ever felt like you were being watched? Would you want that feeling in your house? I’m going to say that 99% of buyers probably wouldn’t like it either. Privacy is an important and often unspoken factor in a house search. I’m not saying that we should all put up 10′ privacy fences tomorrow, but a sense of privacy and separation from your neighbors (even the friendly ones) is something to think about. Think about things such as bathroom or bedroom windows that open to a neighbor’s living room window. Privacy can be added in front of windows with lattice or blinds and privacy can be added in yards with fencing or strategic planting. Not every property is inherently private, but adding a sense of privacy and separation between your property and your neighbors will make it more endearing to buyers. When selling a home, anything that sets you apart from the competition will get you from listed to sold much faster. 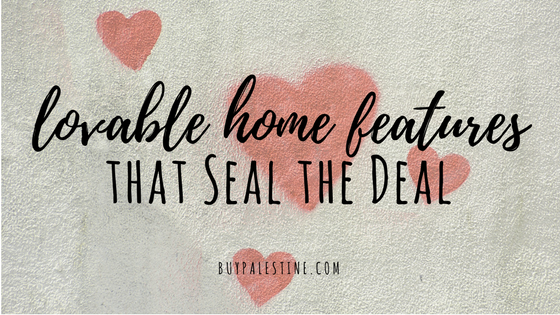 These features may not be the main reason that a home buyer likes your property—but it may be the reason they fall in love with it! Lisa E. Priest always hopes for more closet space and is an East Texas Broker/REALTOR® with Picket Fence Realty, Inc. You can reach her via phone or text at 903-948-3343 or read more at BuyPalestine.com.